*Four Track EP from Eomac, one half of Lakker. 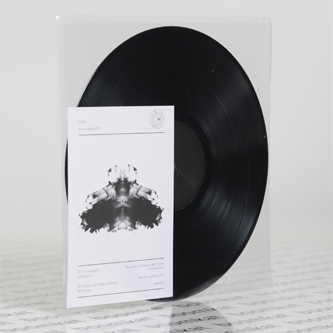 Limited vinyl pressing with A5 insert* Eomac presents an iced-out bleep and industrial techno session including a kicking Ontal remix thru Inner Surface Music. 'Frozen Souls' weighs a pensile balance of pacy bass patterns and featherweight bleeps with his signature sound design switching to darker styles in the skeletal yet ravenous 'Heretic'. Flipside, Ontal beefs 'Frozen Souls' up with thundering kicks and scything hi-hats, before Eomac tips out with the dramatic stygian funk of 'Charon'.